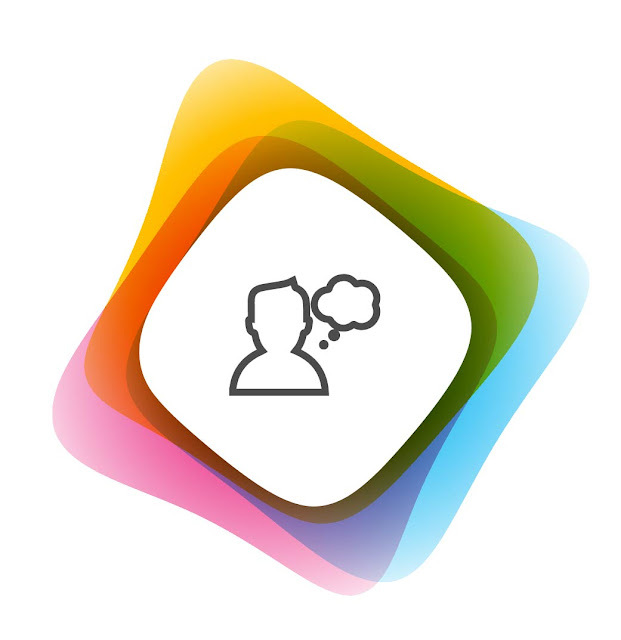 A thought of second took shape in the form of this blog. Never it was thought that i will be receiving such an overwhelming response from devotee readers. As days are passing this phenomenon is increasing. Sai Baba devotees are always dependent on Him, whether we do good or bad. In fact every action of ours demonstrate His actions and thus we are made a medium in whatever we do. Thus, the experiences and words used to narrate these experiences are also not ours, they are our Beloved Lord Sainath's. 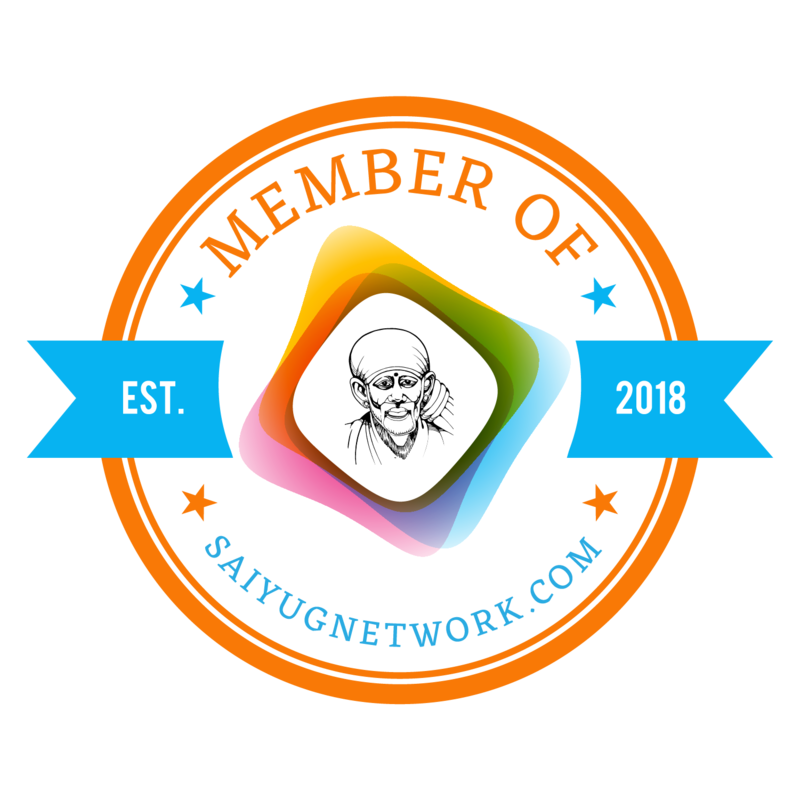 With sincere prayers and choisest blessings of Sai Baba, this blog has flourished very well. One new opportunity has come to its way and we, blog owners - Hetal Patil Rawat and Rana Gill, would like to announce something very exciting. A renowned personality in Sai Baba's seva is keen in making a television serial on miracles and leelas as experienced by devotees after Sai Baba's mahasamadhi. For this we were contacted to share miracles from our blog too. This blog is of every reader and every contributor, so we would like to receive your views (as comments to this post only). The serial is named as 'Sai Prerna' and it will be telecasted on India's leading television channel. Sai Baba will be shown only as an energy, light and in photograph. It has been decided to change names of characters while being portrayed on television. The writing panel in Mumbai is responsible for choosing experiences and making sequences. 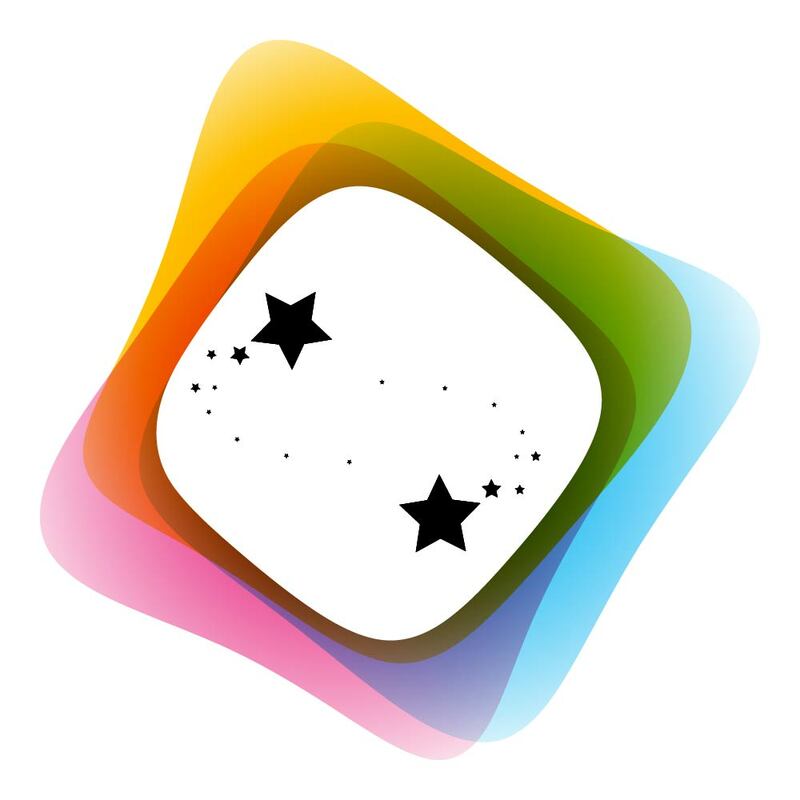 The originality of all experiences will be maintained to the level best fitted to telecast on television. Many experiences of devotees are already published and many others are still pending to be published. New experiences are also welcomed. Thus sum total of all experiences will be considered (published and non-published). It is our humble request that even the smallest of experiences should not be sent just in greed to be telecasted. However they will be published on blog, we cannot guarantee their telecast on television since ultimate authority of choosing experiences is in the hands of writing panel in Mumbai. Also please be noted that any correspondence in this aspect will be entertained through comments to this post only and mails sent will not be entertained. The procedure of accepting experiences of devotee readers is same as earlier. Oh thts a gr8 news,, Nd thnx fr bringing up this blog. Reading these xperiences makes my day.Thnx a lot. Its a nice idea to bring out the expreince of Sai baba.. It gets u some positive energy when we read other sai bakth experience.. I am waiting for this to cast on TV. Thats a great idea.....the experiences of sai devotees are really amazing and it would be gr8 to see the same materialized on television. I think this is a great idea. However, would the makers of the serial not need the devotees consent before showing their story? My Best wishes to the Sai Prerna team! May Our beloved sai help and guide you in this new venture. 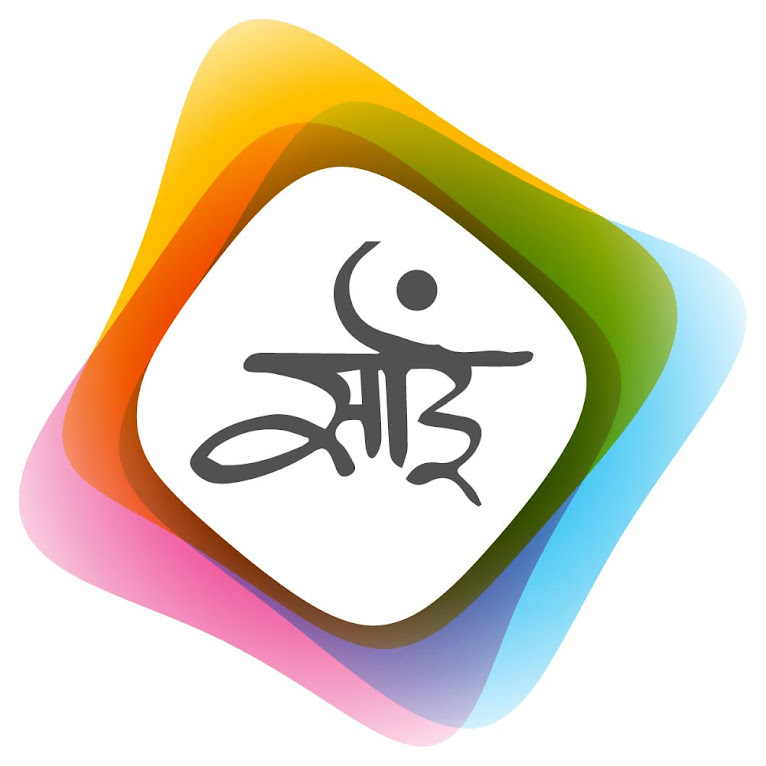 World would be a better place the more people get the 'Sai message''Teri leela aparampar oh Baba teri leela aprampar' Jao ho shri sadguru sainath maharaj ki jai! this is a perfect way to show everyone how Baba plays an important role in all his children's life..
may every viewers receive Baba's blessings..
thanks for the blog Hetal Ji.. it makes me being very close to Baba. Yeah really great news.Great work Hetalji,Ranaji. Sai is there to take care of everything. VERY NICE TO HEAR THIS... BABA BLESS U AND ALL FOR THIS TASK.. HE WILL TAKE CARE.. FINALLY HE IS DIRECTOR.. CREATOR AND PROTECTOR.. EAGERLY WAITING TO SEE BABA'S NEW THIS SERIAL ON TELEVISION.. 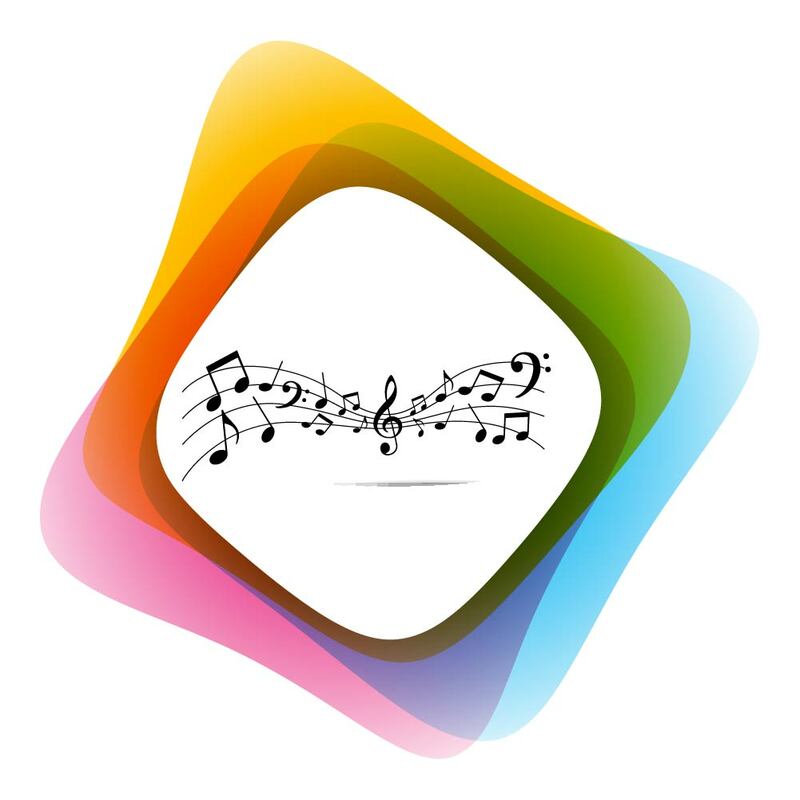 This post has been published with the motive that readers and contributors can share their views. Taking consent of devotees who shared their story is also objective of this announcement. * Please Note: Dear Devotees whosoever do not wish their experiences to be telecasted can comment to this post with Title and Link of their experience. Such experiences will not be forwarded to Mumbai writing panel. Thanks for your views and blessings. I am sure Sai Baba will help all of us in this venture. Do keep visiting and sharing. It is another way of Baba to reach the world. Baba made this opportunity. Whoever is making this serila should do justice to Baba, that's all. May Baba bless everybody with Health, wealth and Peace of mind. It's a great news. All the best for for Sai Prerna team. Sai Ram. Yeah i also agree with you regarding justice to Sai Baba. We can only request Him so and leave rest in His hands. Om shri sairam, Fantastic news Hetalji may sai help and guide everyone in this new adventure and may his blessing be with you Always. Thank you for the great seva that you are doing by bringing Beloved Sainathaji's leelas to the whole world.Babaji sabka bhala kare. I want to join you here hetal ji but how can i do it could you please let me know. By commenting here you have joined us. 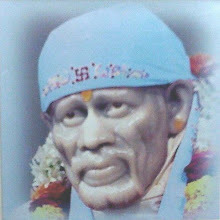 To received daily updates of this blog, you can click this link http://www.feedblitz.com/f/f.fbz?AddNewUserDirect and to share your experiences with Lord Shirdi Sai Baba you can click this link http://www.shirdisaibabaexperiences.org/2009/06/add-your-experiences-directly-to.html. Thanks, do keep visiting and Welcome!!! Koti Koti pranam to our Sai baba who is so kind and help always their devotees. My parents went to Shirdi. I asked them to get two Sai baba Pendants from there - one for my son and another for my daughter. We got the pendants from them when they visited us in Singapore. It was my daughter's birthday and in morning after the Puja we put pendants on my daughters and son neck after putting in thread. In evening my family went to Sai temple for baba darshan. I joined them around 1 hr late and then I came to know that the Saibaba pendent is missing from my daughter neck, only thread was remaining. As Pendent was small and hall was crowded my parents and wife tried to search but could not find it neither they very sure that if it has fallen down outside the temple. Thanks to u all ..ur experiences ... love to open this site daily , really its looking like sai parayanam . Daily i open this site and read all experiences of devotees ,unable to keep parayanam book in bussy places . This blog (site)is really giving,making chance to doing parayan in peak hours and in bussy place. i hope will write my experience by baba grace earlier here .. I am waiting for this all experiences to cast on TV. BABA you are my guru, my father and everything sai...you blessed me with everything am i need. i was craving for job since 2 years. finally you blessed me with a job. sai i beg you to be with me every second and help me to succeed in training and pass every examination and make my job permanenet sai....with your biksha and blessings i should succeed in my career and reach to a great heights baba....i need your blessings and krupa....thas it sai....i beg you to be with me and listen to my preayer and i even have that confidence that you will help me in every situation. Thanks for everything my lord. This is to share my frequent personal Baba experience: whenever I move out, whatever be the mode of my transport, at some point or the other, from somewhere a vehicle with the sticker of Baba will zoom past and the photo will invariably my attention. Today when I moved out I could not spot a single photo of Baba and I cursed myself that for some reason Baba must be unhappy with me. I was very much upset about it. The purpose of my trip over, I began to return home in my motorcycle. After a few yards, the bike came to a grinding halt at a particular place. It just then occurred to me that I could have forgotten to open the petrol tank. When I checked, I found it to be correct. Just then, casually I turned to my left and wonder of wonders, a banner hung from a building caught my attention and my joy knew no bounds, when I noticed Baba's image with Abhaya Hastha!! It was a stunning sight and instantly I had my doubt that Baba was not happy with me dispelled! I stood there for almost 5 minutes and I shared my heart with HIM and with fullness of heart left the place thanking HIM again for HIS mercy!! Not only HIS bones in HIS Shirdi Samadhi speaks, the very thought of HIM instantly manifests HIS image all across the globe depending upon the intensity of our faith. May Baba Bless us all!! Sai you have always helped me and you have been there with me whenever I need you .You are my father on whom I am all dependent and all my good and bad is in your hand and my every step whatever I do is also what you want . I really want to be strong and want to forget everything , you know everything , please paa help me , I cannot take all this anymore .Please give me peace and strength to forget everything . PLEASE help me paa....i want to concentrate on my exams and on my entrance exams ...Hug me so that all my pain vanishes . You know only you are there with me on which I am all dependent, no one else is there with me to help me . peace and only peace I want ...That is it iwant to say ..
from last 2 3 years i was feeling very bad because there is a great rush in shirdi and we cannot attend the artis. This time i thought that i will fight with baba that HE is going far from us.Sitting on golden throne HE is making fun of us as we r poor people and always welcome persons with passes. We reached our hotel on 29th march 2011.W e had planned not to run for aartis as it ts very difficult but in deep of my heart i am feeling that i must attend the aarti.We rested for a while then we planned to go aut and eat somthing as it was 5.45 pm and it was the time for dhoop aarti.as we stepped out one man said go for aarti we just run n stand in the que we got the aarti in the hall sitting exactly in front of baba.I thanked baba.Next day also we got the madhyan aarti standing in first hall n i was just crying and saying to my baba that he dint gave me a chance to fight.pandit ji also sprinkled jal on me after aarti as if baba is saying me to cool down with his cool shower of love.Now kakad arti which i really want to attend n my visit is not complete without it.But as i was not feeling well i found myself unable to wait whole night.We told a person that we r planning to go in kakad arti HE is a resident of shirdi.HE took us to the office n said if sai wants you will get the pass n by BABAS grace n want we got the pass.n i was sooooo overwhelmed as BABA is calling us to him and i also felt BABA is saying that how can you fight with me now.we entered samadhi mandir n by BABAS wish i was standing veryyyy near to baba in first que in 4 5 number i was just crying n crying after arti it was time for babas snan i just wanted to keep on doing the darshan and suddenly all the pandits started dusting all over.And we stood there for at least one and half hour just looking at BABA with tears in my eyes n without any wish as i need nothing now.Now i was feeling as BABA is saying kar lo jitne darshan karne hain thak jaaoge darshan kate karte.And really this visit had changed me a lot.everything happens by HIS wish only. I never ask for anything from my BABA just i want ki BABA ki ichha poori ho. i fully agree.i had a similar experience last week.i was appearing for an online examination on sunday and i was preoccupied with it.i was studying and i felt hungry so i started heating chapatis on the gas stove.but since my thoughts were elsewhere i was actually rotating my index finger on the pan instead of the chapati.i screamed and prayed to baba.and as always my dear baba healed me completely and i cud do my online exams the next day. I decided to come here today just to say a few words because I need to share Babajis greatness with others. Unlike most devotees here I just want to say am not a good person, in my opinion. Circumstances dragged me down to depths of despair and misdeeds. I used to have great faith in God long ago and pray to Shri Krishna but with time I gave up and decided God had ignored me like everyone else and chose to ignore his existence. One day, a stranger gave me a statue of Shirdi Sai. I lived in Canada then and this was three years ago.Apparently this woman had got the statue from Shirdi for someone else, and that person refused to accept it so she decided I should have it out of the blue. I kept it with me for 3 long years because I did not believe in God then and never worshiped Babaji until one day last year another stranger gave me Babajis prayer book.I was in doldrums at that time, lost my job and and in extreme pain, so in helplessness I decided to read and fast for 9 Thursdays. One Thursday, I was asleep and in my dream I saw Babaji. He was beautiful in white and he asked me so you don't believe me and you doubt me do you? In my dream, I was shocked and numb and suddenly he gave me some water and said this will cool your pain drink it. I don't remember what happened after that except that I was feeling happy. Despite this, I was still in some illusion and not able to get out of maya's clutches. I don't know what I am or what I have done to deserve goodness but Babaji has not left me. One day, I was cheated by someone I trusted and as I was driving home with tears in my eyes I suddenly heard Babaji tell me go to my temple right now, and if you see me dressed in green know in your heart things will be fine. When I reached the temple which is very far away, as I live in the US now he was indeed dressed in rich green. This has happened three times. Once I asked him for help and he said go to my temple I will be in orange and it happened,and again today I was crying and again I felt Babaji tell me go and see me in blue and lo and behold he was dressed in blue. I am here simply because I am stunned and I just don't understand this. This temple I visit the idol of Babaji is in different colored garments everyday.I want to just end by saying HE exists, if you are in trouble and guilty and lost like me please pray to him and see miracles that happen. Bow to Shri SAI peace be to all!! This month only I had an opportunity to visit Shirdi. While my stay in Shirdi one night I was sleeping in hotel room and whole night I was very uncomfortable due to pain in my right leg. I prayed to Baba how I will go to temple next day as there is long que in Samadhi Mandir. But to my surprise the next morning I had no signs of pain. And next day I happily had Darshan in Samadhi Mandir and even stayed in que for 2 and half hours without any problem. Thanks to Baba ji. In another incident while taking lunch in Hotel I saw a ladies handbag left by some lady. I handed over the same to our Group Incharge who inturn checked the bag n with help of I Card in bag returned the same to its owner lady. When this whole incident was taking place at the same time my husband who had gone to take our mobiles back from the Temple locker lost his receipts of mobile given by the locker staff. While he was searching a small boy entered the locker place and handed over a lost slip to the staff that he found on road. Its all Baba's blessings that while I was returning the lady's purse our lost receipt was returned to us without which our mobiles would have not got returned to us easily. I want to share my most recent experience here. On Friday, I was heading for an interview. Although I had planned ahead and thought that I would have enough time to visit the nearby Sai Mandir on my way to the interview site, I realized in the last minute that I wouldn't be able to go to the madnir before they closed at 12:30 PM. I was really sad as the only other temple nearby had had Sai murthi before, but now they had moved to the other site which was a little far away. However, I still made it to the nearby temple. After I knelt and prayed and put the donation in the hundi, I went to take Prasad... to my surpise the old room which used to have Sai murthy, had been restarted and there were Sai pictures and small murthy of Shri Sai. I had goosebumps and fell at His feet and took His blessings. I remembered the chapter in Satcharithra where Sai says that He will be ahead of the devotees all the time. I am still waiting for the interview results... but I will gladly take whatever Shri Sai gives me because He knows what I deserve. Oh Lord thanks for making the 2 tabs coming up right.I had prayed that I would post it on this site.Please make my brother get above 90% in Physics,Chemistry and Maths by your merciful grace and also make him pass in Sanskrit,English and Biology with good marks.I will put it up on this site.He will get his 2nd P.U.C results today.I beg you,please please make him get a seat in MVIT through CET.Also,make me have a good day at work and help him complete my work for the day and also fix the null value issue.I will post it here.Thank you for everything Baba. Baba thank you so much for giving my brother a good percentage.You made him get more than expected.How merciful you are!My day at work was also smooth.Please make Pavan get a rank in CET which will allow him to get a seat at MVIT in EC,CS,IS or Mechanical.I beg you.I will put it up on this site.Make me learn OBIEE well today and hope Satya has given good marks and comments in my review.I will put that up as well.Please make me complete the report today and make it come up perfectly.Please be with all of us all the time. I want to post a comment on the blog as I have faced an experience with saibaba,I lost my job in the month of January 2011 that was a major set back to me I started searching for another job I started applying for some of the companies and noted placements as well as through internet. 3 months have passed I was not getting any interview calls as there was no other source of income all the money I had was being used for food and shelter I started to face financial crisis I got tired applying for jobs as nothing was going well but I had faith in saibaba.I beleive in him like anything I do any purchasing weather it is house hold item or any other I do it only on Thursdays.I thought baba is not listening to me I used to go to sai baba temple and used to literally beg him for a job. There is a site in internet www.yoursaibaba.com where we can ask questions and saibaba will answer you in that I used to ask questions related to my job saibaba told me to donate me some food,cloths and money which I did but I did not get call I was very tired.I used to abuse sai baba like anything.Baba told me to come to shiridi as I did not have money to go to shiridi but saibaba helped me financially which is again a lengthy story which I cant tell you.It was he only who has helped me to arrange the money required to go to shiridi.I went to shiridi with my wife and two children I swear I had tears in my eyes in my eyes while I was going to shiridi by bus and also in front of the sai baba Samadhi,in Dwarakamai and while coming back from shiridi I had never cried before in shiridi.as I had visited shiridi more than 20 times my family members were also worried because I am not getting a job they used to call me frequently and used to ask as I had no other option to tell them lies that I had attended an interview and I was waiting for the result as it was not the case I did that to keep them happy.at last sai baba showed me the path I got a call from a Mnc I attended that interview it was again Thursday and I got selected in that that to by grace of sai baba I know it is only he who has helped me to secure me that job.Beleive in saibaba everything will be fine have patience believe in Shradda shaburi.I am sorry as it is a very lengthy devotees will find it painful to read this experience. I am a senior officer in Vizag steel.About 4 years back I had some differences my former boss who out of vengeance humiliated me by withdrawing my power/jurisdiction and made me sit idle.I was help less and felt shattered and was under constant worry about my promotions.I was under compulsion from inner self to take revenge in whatever way I can, but I controlled the negative feelings.To overcome worries and negative thoughts ,I started regularly visiting and praying at sai baba temple near by. I decided that one day I will go to Shiridi for baba's Darshan. Soon I was transferred to another dept and lost all association/ contacts with my former boss. Some time passed , the incidence went to history.One day I was on my way to shiridi via Pune to keep my vow.I got down at Pune railway station at mid night, slept on the floor of retiring room with plans to wake up and leave to shiridi next day morning.In the morning some body shook me and woke me up.I opened the eyes and to my astonishment I found that the man who woke me up was none other than my former boss at whose hands I suffered the humiliation.On talking ,he was also found to be on the same mission like me,ie going to shiridi for Baba's darshan .What a coincidence.The person who acted in vengeance and the victim of his vengeance were both pulled by Baba to Shiridi on the same day. Both met each other in the retiring room of Pune station ,and from there both went to Shiridi and had baba's darshan on the same day. I feel very low.I don't like my current job fully.My hardwork has gone totally unrecognized.Please help me get a good job at a product based company or a government office.Please help me.Please help me get out of all the tensions I am going through :(.Please make me complete the reports very well.Let there is be no errors.I beg you.I will put it up on this site. I m a devotee of shree sai.I Want to share one experience with all the sai devotee. When i was doing graduation one day i saw a dream that i m in one cave and there i saw a some horrible animals and a murti of shree sai. I was just praying save me god continuously praying om namah shivay om namah shivay and just hug that shree sai murti.Suddenly i saw that murti changes into shree sai itself and saying to me u r frightening from this animal don't worry i m with you. He was wearing white clothes . After that in that cave my dad came and asked to shree sai to come at our house. Shree sai came with us in our house and we all our sitting on our bed my mum dad and my bro. I just asked shree sai what would you like to have? Shree sai said i would like to have some milk. you would believe he has the same cup which we devotee saw in the shirdi museum. I Just gave him some milk to drink. He was drinking that milk . After that to shree sai i gave some dakshina .Shree sai put it in his bag. I asked sai where all this money gone. He said see i don't have any money in the bag and it had been used already. i asked him where? He said some money had gone to buy that papers in which i write fate and some to buy the green ink and some for the charity. After that shree sai asked me to whom u want blessed. I Looked at mum , then dad and bro. and suddenly i said my bro.then some blue rays come from shree sai hands and he suddenly disappear. 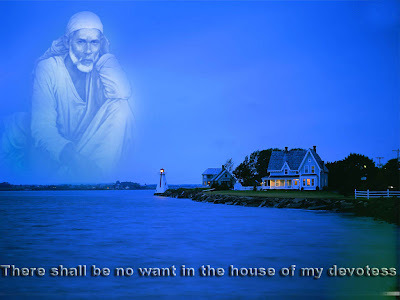 I m not saying any thing against shree sai as i m also a true true devotee of shree sai. But i don't know sometimes this question arise in my mind..
Just wanted to share my today's experience with all Sai Devotees.....I live in Bangalore...today afternoon I had to go to the opticians...though it's not so far still I had to take two buses to reach there..I took the first bus and when I go into the bus I realized that my handbag was not closed and then took the bus pass and showed it to the conductor and I closed my handbag...after that got a place to sit...in the next stop I saw a lady getting in the bus with a small baby and seeing her I got up from my seat offered her the seat...when I got up another lady came next to me and she held me thightly so that I was not even able to move from there...I felt really wiered with that ladies behaviour and then got down in my stop....after I got down I still had that thought like why did that lady behaved like that? Then That reminded me to look into my handbag and then realized my purse was missing...shocked and was asking Baba pls help I had 6000 and moreover all my Id cards where in my purse...turned to my right and saw a bus which had Baba's photo..immediately an auto driver came to me and asked what happened ..I asked Anna can u help me pls ...need to follow that bus someone had stolen my purse..he didn't ask anything instead started the auto and followed the bus... Finally we reached the bus and when I entered in the bus I was told that my purse was lying down and it's with the conductor..but I really don't know what really happened but with Baba's blessings I got my purse back...to my surprise i was not at all in panic...Baba gave me the courage to face this situation with getting panicked...only with his grace that auto driver had helped meeee....I always believe Baba will always be with his devotees and guide them throughout their life..
My name is Harsha and I am an ardent devotee of BABA for the past five years. There are so many experiences I had with BABA. I cannot dare to write those as I can’t express them the way I felt when I experienced those miracles. With the grace of BABA I am sharing this experience that I had few days ago. I am a software developer working in the US on H1-B VISA. I had to go for my VISA extension. As most of the people know, Immigration has been very tight in the US. I work for a consulting company. Before going for extension, I read SaiSatcharitra asking BABA to give me H1-B for three years without any problem. Once done, I again asked BABA is there anything that I will have to do. I opened SaiSatcharitra for his advice. He wanted me to read GURUCHARITRA. So, I read GURUCHARITRA. I applied of H1-B extension. I got a query asking for additional documents. I don’t have all the documents which were asked. So, I prayed BABA and sent documents whatever I had. Days are passing by but I haven’t got any decision whether my petition was approved or denied. I asked BABA for a 3 years extension. One day I sat before BABA before going to bed and asked him if you are really satisfied with the way I worship you, I need your darshan tonight. It did not happen. I was really depressed and cried before BABA saying that all I know is to pray you, eat nothing without offering you and read your leelas daily. If you are not satisfied with the way I worship you, you have to tell me how I should worship you and I asked him again for his nidarshan. I went to office very depressed thinking BABA is angry with me. At noon, I checked the website for any update status. I went to drink some water and I was thinking BABA is not with me. Suddenly this miracle happened. I again refreshed the page and saw my extension approved. Suddenly everything changed. I thanked BABA. I am not sure for how long that was approved. A week later on Thursday I got my approval notice and my extension got approved for an year. I was worried and later thought that whatever BABA does will be good for us and not whatever we think. Still I am not satisfied as I asked BABA to give me three years extension while reading Saisatcharitra and gurucharitra. I again asked BABA why he did like that and again opened Satcharitra. The page was discussing about Dhoomal’s incident where BABA says “its only because of my grace you all are relieved”. I was satisfied with his answer. I told myself that BABA is with me and he had some other ideas for me. I went to satsang and I asked BABA so many questions. To my surprise, I got all the answers during the satsang. He wanted me to have SABURI. When ever I ask BABA something, I ask him to do it instantaneously. He gave me in some occasions. I understood what he was trying to give me. Utmost patience with pure love and dedication. One thing we have to remember is even we can’t see BABA, he is always with you answering your questions and BABA constantly improves faith and devotion. Some times when we ask BABA for something, he may not give us. We should not feel bad. Think its not good for me and there is some thing in his box which we want to give. Oh Lord,thanks you so much for making me have 3 good weeks at work.Please see to it that QIR doesn't have any issues in production.Also please see to it that AA,PW,DP do have not any problems in production.I beg you oh Lord.I'll put it up on this site.Please make me finish all other reports assigned to me successfully.I'll put it up on this site.Help me gain some recognition for good work.Prevent me from doing mistakes. My parents have started looking for a guy for me.Please bless me with a good guy who is cultured brahmin,highly qualified and well placed.I will share it on this site. Baba it has been almost 1 month since i lost my job, please help me get a job. I haven't told my parents i lost my job but soon as money runs out i don't know what to do. I am placing my life at your feet, please guide me. I see Baba in every form , It is not only Swami Samarth , all the saints like Ramana, Raghavendra and all the sufi saints , are the forms of Baba only .I see Baba in all the forms of Gods . Baba is all pervasive . Thanks for sharing the experience . Friends i want to share my story of miracle ,power of 9 thursday sai baba vrat and feelings.I started 9 thursday vrat thinking about my lost love and has kept a chit on sai baba paduka which read "s will marry me and we will be happy" as days went by nothing really happened,my parents were getting old and they wanted their son to get married soon and were looking for suitable alliance but days turned weeks ,weeks into months and nothing really was promising.i was feeling guilty to live my best friend and marry some one else so i kept praying baba to give her back to me as she left me thinking i am responsible for her grandfathers demise.i kept crying ,pleading to baba but nothing turned postive.Things were looking gloomy and dark,i must says those were the worst moment of my life.One day while my mother was cleaning the puja rack she found the little chit and got furious because it was al over between me and my love and told me to throw it away at once.She said by doing this i am putting baba in dilemma and confusing and tying his hands not to give his blessing to me.If she had same feeling and affection towards me baba would have probably fulfilled my wishes but as they say "man proposes god disposes".May be baba had other plans for me,i at once threw that paper out of window and this was my 6 week.The reason i am saying this is because some times when our wish does not get fulfilled we blame baba saying he did not give it want we wanted,but remember baba's motherly heart knows whom to give what and he knows what is best for his child.2 weeks went by and suddenly we got a good marriage proposal from chennai and to everyones surprise my engagement and marriage date got fixed just the next day of my 9 thursday sai vrat.Absolute miracle i dont have enough words to describe baba power,his love and affection and his blessings which he has showed on this bhakta.i promised baba that i will post my blog once my marriage gets settled and will share my good thoughts with this worlds and will spread sai mahima,power of sai vrat. This is great news HetalJi. Please also post when this serial will be telecasted. I have posted my experience in this blog earlier but unfortunately it was not published. I hope this time i am able to reach out to all fellow Sai devotees. There have been times when i was completely down and out but was able to pull through just due to the strength that Sai endowed upon me. Baba helped through the difficult times when i did not have a job and desperately needed one. I am going through a tough phase right now as well but I have full faith in HIM and will continue to worship him with all my heart.....OM SAI RAM!! Amma says pray to Baba and he'll take care of everything..i had given my CA exams a few months back and they didnt go off well at all..but Baba set everything right..as Baba says 'why fear when i am near ? '..have faith in Baba and he'll always be there watching over you and taking care of you..thank you so much Baba..
SATHGURU SAIBABA THANDRI NARAYANA. INSPITE OF SOME EVIL PEOPLE( NO MORAL VALUES AND ETHICS) TARGETTING ME, THOUGH AM HONEST AND PIOUS IN ALL THINGS CARRER, JOB, EDUCATION AND MOST IMPORTANTLY IN FINANCES AND FAMILY LIFE BY TAKING ADVANTAGE OF HANDICAP SITUATION, SATHGURU SAIBABA YOU HAVE ENHANCED MY FAITH AND SABURI WITH MORE PRACTICAL TRUE AND AUTHENTIC FACTS. (BOTH IN FINANCES AND FAMILY LIFE). THANK YOU FOR BLESSING ME FOR GIVING SECOND TIME CONCEIVING CAPACITY. THIS KIND OF DIVINE AND TRUE BLESSINGS COUPLED WITH TRUE LOVE AND HONEST PRAYERS WILL ALWAYS YIELDS GOOD RESULTS WITH THE BLESSINGS OF SATHGURU SAIBABA AND PIOUS SAINTS. PLEASE GUIDE ME AND BLESS ALL THROUGH MY LIFE AT ALL TIMES AS A DEVOTEE, MOTHER, WIFE, DAUGHTER, SISTER, DAUGHTER- IN- LAW AND AS A FRIEND TO LAXMI. My younger son and his family just returned from their Vacation trip to New York, NJ etc. They were among those who experienced the New York earth quake as well as the stormy disaster caused by Irene. Actually they were on the 6th floor of some building in New york when earth quake occurred! Due to Irene, their flights were canceled for 3 consecutive days and instead of Saturday's scheduled flight on 27th they could return home on Wednesday. Their being safe all the time is BABA's protection I am sure. Also today we went to see them at their apartment, we were gifted goodies from the trip. The first package I opened and I could not believe, it is a small photo - 3D images of Shiradi SaiBABA's different poses. And to add more surprise to it my 2 1/2 year old grand daughter said which made me feel that BABA is with me and my family. The little girl said "meemaa, this SaiBABA photos I specially brought for you." No one has told her such expression and these words from her mouth seems to me from BABA only! In the past too, we had visited the Temple at Phoenix and on our way back home I kept this baby occupied talking various things and would also ask her to read me stories. She could identify the story characters so it was fun talking to her as if she is telling me a story. After a few days her mom was talking to her while herself doing her house chores and said, Priya, what story you told meemaa? and Priya said, Piyaa was not telling the stories, BABA was telling the stories. How come she used the BABA word made all of us wonder even now! Hetel Ji I want to share my today morning experience with all SAI Devotees....today morning around 8:30 AM have reached my office and every morning i changed my desktop picture of SAI Baba and read Arthi.. i dont know how can i forgot it today. i have opened my Facebook account and got busy with changing and repling my friend comments i have one picture in my album of SAI Baba....i was on my profile page and scrolling down that page i dont know how album picture got opened and remind me the both thing that i have to change the wallpaper and do Arthi....then i relised my mistake and said Sorry to Baba..Baba is so kind...i just love him...I LOVE YOU my BABA....LOVE YOU so much. There is one Novel about Sai Baba's life. This gets clear idea of sai's life from born to samadhi time. this novel creats lot of problems and issues when it lounch. The novel named "VIBHUTI" . The only book which taking back from customers after saling because of some people which were against of mentioning how was end of Shri- Gopalrao Kheshavraj Babasaheb Maharaj (venkushah) he was an GuRu of Shri Sai baba. Hetalji,many thanks for your blog as we are able to read and experience other people's faith and devotion as well as we are able to share ours with all Sai devotees.This experience of mine happened some 3-4 months back.Actually we thought of painting our house for the past one year or so.But it was getting postponed for one reason or the other.Suddenly it all happened and we decided to start the work.My elder son took 10 days of leave and so he could not avail leave again to help me.My husband could not also take leave.Though my second son's college re-opened,i requested him to stay back and help me.After one week,suddenly his friends called him and said that his college hostel warden is angry and they are going to take him out of the hostel rolls.All started to scold me as i was the one who asked him to stay back.Now i had no one but to turn to Baba.That night there was heavy rain too.I did not know what to do.I prayed to him and said Baba you are the one to help me and show your presence too.Next morning,one tri-cycle wallah came with Baba's statue and photos playing the song-why to fear when shirdi wala is here.Then i was very happy and my son went to college and they did not say anything.His hostel room was alloted to somebody.But when he went there he was alloted some room the same day.Another experience happened yesterday.Actually some 6 months back my brother came from U.S.and gave a packet saying that it had to be handed over to his friend.He never turned up and i just forgot about it.At the time of painting i misplaced all things.Suddenly yesterday my brother asked about that packet to be given to that friend.I did not know what to do.Immediately i prayed to Baba and said you please show and get the packet for me and i will post this experience in this site.And lo!You won't believe i just took his name and went to the room and without searching i could take[no no.Its not me but he only took it]the bag.Not only that,the bag was also his friends bag.Really i was very happy as i could feel his presence and that too in seconds.Really Baba you are great and help your devotees at their call.I was just postponing the earlier experience and the message from one of the devotees was "Don't break promises".Though i was postponing to share the experience as promised by me,Baba helped me when i needed his help.He did not postpone to help me.Sorry Baba for my negligence and laziness to post the experience.Please forgive my mistakes and bless me always by keeping me under your Lotus Feet. OM SAI RAM SRI SAI RAM JAI JAI SAI RAM!!! please can any one ell how to share my experineces in this blog? Though I had devotion to God in my childhood, I was strayed from it during my college days and stepped the atheistic bandwagon outwardly. My subconscious was theistic, although I was acting atheistic and I was confused in that state. Even though I used to imagine the non-existence of God, I was admiring the Creation and its unfathomable wonders. In a way, the atheistic thoughts were the hurdles, which later intensified my devotion in God. Many many thanks to you for providing such a wonderful platform to read about Babaji's devotees experiences..They give us immense strength and help all of us in building our faith in Babaji.Today I would like to share one beautiful experience of our loving Baba.I pray to Baba to help me write the incident as without his help I cannot compose even a few words.This is a story of 2009.My daughter was just 2and half yrs then,and she started suffering from severe constipation problem.Later on she had fever , vomiting sensations and stomach pain.Here in US,they first would do all sorts of tests to find out what is the problem.I felt extremely nervous and felt very very nervous..I prayed to Baba day and night and started reading Sai Satchitra daily.With Baba's grace , all of the tests were normal and they told us not to worry as she would be fine once the constipation is relieved ,fever would also go away.It took a month for her to recover and some thing called ESR which was very high for her , which caused us a lot of anxiety, gradually got back to normal.I promised Baba that I would post my experience with others sometime back and today with Baba's grace everything is normal.I had promised Baba to visit Shirdi and seek His Blessing and hope that very soon Baba will fulfill my wish.Please Baba take care of all your children and protect them always.We are really nothing without your blessings.Right now there some skin problem with my daughter ,however I am sure Baba will take care of the same and keep us happy and healthy. Koti Koti pranam to Your holy feet .. I am a regular visitor of your site, I really appreciate for your great work. 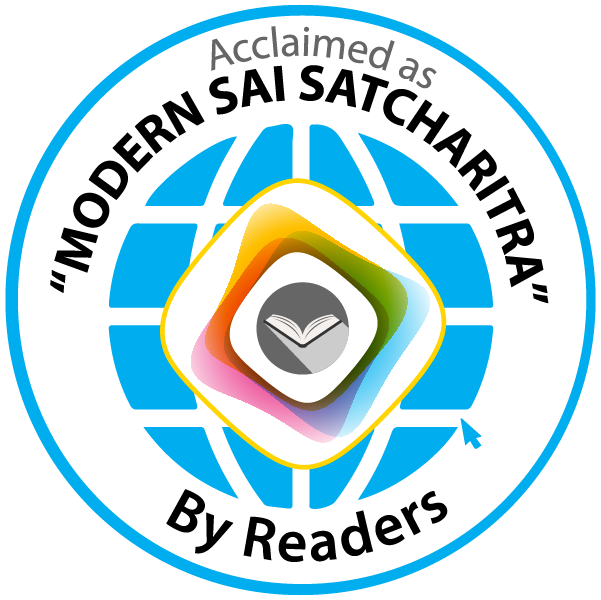 I cannot explain in words, how much we, poor devotees are getting happiness by reading experiences posted on your site. May BABA bless you and your family. Kindly post the following experience at your convenience. Last summer, I got call from BABA to Shirdi. My parents and I visited Shirdi in the last week of May 2011. I experienced HIS leela many times during the trip; here I am going to explain a small one. During my journey to Shirdi, I was suffering from loose motions, probably because of hot weather. I was taking some medicine to control it. One afternoon in Shirdi, we decided to have lunch at Prasadalaya. While serving, my father was accepting sweet. I told my father not to have sweet as he is a diabetes patient. He told us not to worry as it was HIS prasadam. I said OK and I took a large amount of chilly pickle, as I like spicy pickle a lot. My father looked at me and told me not to have pickle as I was suffering from loose motions. Immediately, I told not to worry as it was HIS prasadam. My mother and my aunt laughed for my witty answer. But, later I realized, I took really a risky amount of pickle. I recalled few chapters from Satcharitra, where BABA’s treatment was quite unusual to some diseases. I looked at Baba and told to myself, “I will finish whatever pickle is there on my plate. Hopefully, HE will cure my problem, otherwise I take medicine and there won’t be any danger as I am in Shirdi”. Believe me guys, I did not take any medicine after that, it cured automatically. I won’t say my faith was 100%. But, these kind of incidents make us to believe HIM and surrender to HIM completely. Thank you very much BABA. Thank you for reading this Leela and wish to see you with other experiences, whenever HE permits. May BABA bless everyone with happiness. Hi Hetal Jee, Please guide me as how to share my experience. Do I need to send it some ID, if yes, then whats the ID ? Please help. SHIRDI SAI BABA IS SUPREME GOD.I WANTED TO KNOW GOD FROM LAST 12 YEARS.IT WAS OF APRIL 2009.IN DREAM I SAW A SMALL MURTI OF LORD SAIBABA AND A MURTI OF GOD VISHNU AND THEN BABA MURTI FLYING AND MERGING WITH LORD VISHNU MURTI.THEN AGAIN IN NEXT TWO DAYS I WAS TAKING REST/SLEEPING IN AFTERNOON.I SAW A SHIV LINGA AND A LIGHT WAS COMING TOWARD SHIVA LINGA.IN HEART I WAS THINKING LIGHT WILL BE OF LORD SHIVA BUT WHEN IT CAME NEAR IT WAS SAI BABA.THEN AGAIN IN COUPLE OF DAYS IN DREAM I SAW GANPATI JI BUT WAS FACE OF SAI THEN HANUMAN JI FACE WAS OF SAI. THEN AFTER SOMEDAYS IN DREAM I SAW IT WAS DARK AND INDIGO COLOUR[LORD KRISHNA COLOR] OM & OM FLYING ALL OVER IN SPACE AND A VOICE COMES FOR SAI BABA THAT "IS JAISI DIVYA VIBHUTIA BHAUT COME AVTARIT HOTI HAI. "THAT VOICE I WILL NEVER FOR GET IN MY LIFE.THERE ARE MANY PERSONAL EXPERIENCES TO TELL HE IS SUPREME ONE. Shri Sadguru Sainath ki Jai !! Thanks a lot Hetal ji for this website!! I want to share my experience of yesterday. Yesterday, I was going back home from office at around 2.00 am and was praying to our beloved Baba that please show me any sign or form of yours in my dream. I reached home around 2.10 am (Nov 16 early moring) and slept. And in my dream I saw many small snakes and one medium snake, all made of gold....(snake idols)in a room kind of a place, think it was like a temple's garbhagudi / pooja room.Suddenly I woke up from my sleep around 6.00 -6.30 am and sat. Then again I slept off. Later I started thinking why I got that dream...and also scared why I got snakes made of gold (idols) dream. Now I realize that I had prayed Baba to show his presence in any form in my dream. Baba please lift me from all my troubles and worries that I have been facing. 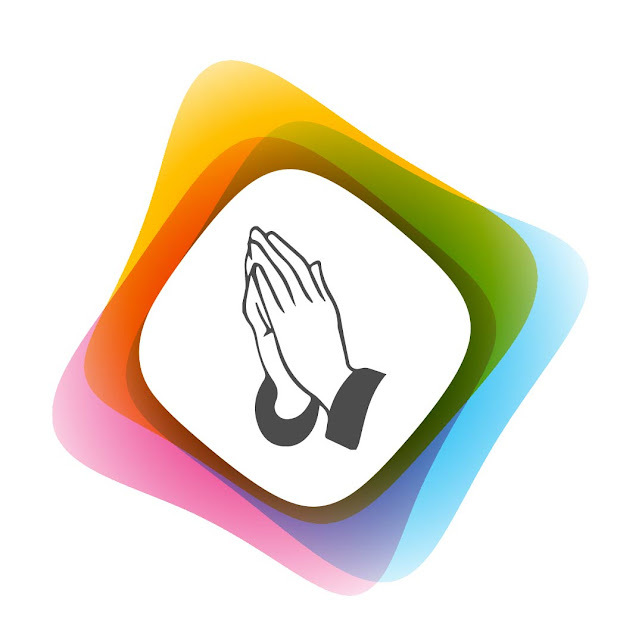 I am undergoing a rough phase in my life now .I have been praying BABA to help me and shower his grace on my family .Nothing is working out .My confidence level is sinking and i still have strong faith in baba .I am not seeing BABA in my dreams also .I am very worried about things happening around me .Baba please dont ignore me like this .Please forgive me if i have done anything wrong knowingly or unknowingly .Punish me but save my family .Koti koti pranam at youyr lotus feet . Thats really graet............. i have started reading your blog few days earlier as now i came to know abt it..
" ANANTHA KOTI BRAMHANDA NAYAKA RAJADI RAJA YOGI RAJA PARABRAHMA SRE SACHITANANDA SAMARDA SADGURU SRE SAI NATH MAHARAJ KI JAI "
we need baba to cross the every step of our life hurdles. im here to seek help from baba and the devotees. one of my colleague recently affected with cancer. he is undergoing treatment. they need finacial support for further needs.he is the only earning person in his family. so far he is taking care of his family with so many hurdles. his monthly income is only 8000. now he has to undergo a operation it may cost around 5 lakhs.so i request you all to give finacial support and prayer of your all for this poor person. his name is V.MARIAPPAN , LAB ASSITANT IN MECHANICAL DEPARTMENT, VIVEKANANDHA COLLEGE OF ENGINEERING FOR WOMEN, ELAYAMPALAYAM , TIRUCHENGODE. TAMILNADU. HE IS ADMITTED IN R.K HOSPITAL SALEM TAMILNADU. i would like to publish in devotee experience colunmn , but my browser is not supported. please help and pray for this needful person as you can. First of all thankyou verymuch for giving a opportunity to share my experience.I read the experiences daily and it makes me emotional.I believed in baba early also but not that strongly.But today i can say that baba has taken me into his fold. I would like to share my experience of the way baba has been with me till i got married .I can say he was like standing behind me and pushing me forward. well although our marriage is arrange plus love marriage you can say.It so happened that once when one of my aunt had expired her brother had come for the funeral .I met him for the first time.he just saw me and suggested a alliance.I wasnt that keen on getting married .But somehow they convinced me to atleast chat to him and i did. And he lives in south america.Slowly i started started liking him but dint say yes to him.On top of it my family was putting a bit pressure and i finally said yes although i never saw him.As soon as i said yes god knows how things happened and they just fixed the date of wedding.Here i would like to mention that my sisters took the responsibility of my marriage as i lost my parents early.I was quiet strong to be on my own.But i become disturbed after all this. All my relatives started saying how can you marry without even seeing the guy and he has never been to india since childhood.god knows what kind of person he is.I knew deep down that he was good but since it was all the elders saying so i started believing it.And my confusion started i could not say no as my bil had taken the responsiblity and i cannot say to my aunt anything as they were elder so i used to just keep quiet listen and go to baba's temple sit and cry in front of him. believe me i did all my marriage preparations half heartedly.Once while praying at home i had offered 2rupee coin and i thought when i go to the temple i will give it to the beggar there. so i just put it in my pocket and went to the temple sitting infront of baba and crying to help me.and with tears filled in my eyes i just came out of the temple.after going a bit further i heard a voice somebody calling me it was a beggar since i was already in tears i dint lift my head but i could feel the person looked like he was quiet young.He was constantly asking for money and i was scared that he will see me crying i checked my pocket i dint find any money.so without lifting my head i kept on saying sorry and that i will give him next week.It was like baba asking me to keep faith and patience which i dint understand. when i went home and was changing the 2 rupee coin fell from my pocket and i felt so sorry for not giving that coin.so i decided to give the other week.when i went to the temple i was in a shock when the pujari of the temple was talking on phone loudly and saying to somebody that not to worry about the marriage and that he will be there to get the wedding done and baba will also be there.i got the vibration like baba is saying me that he will be there.and beleive me my engagement took place in a gurudwara and they were other gods also and i was searching for baba's picture.But after the engagement was over the pujari asked us to put mala to other gods.and when i turned back what i see a big statue of my baba .right as he said he was standing behind me and getting things done.All this journey till my my marriage and even now being in a new place baba is there with me and taking care.Although i dont like this place much as they are temples here but some are left unworshipped .hoping that baba will soon call us shirdi and also change the place for good where i can take his darshan every thursday. sai devotees i have a request i will be completing my first year of marriage on dec20th with the person who i s really good and reiligous.so please give your hearty blessings to us and pray for me if anybody is going to temple on that day as i miss going to temples badly.and if baba wants will post some more experiences in future. I did many mistakes in my life. I am irresponsible in life. My age is 29yrs and I am still in search of stability in life.Always when I am at my crucial moment of careeer I fall for someone and spoil it, and now I am doing the samething .I am leaving my job as the gal doesnt like me. But all of this brought a good thing out of me,now I am very close to sai than ever in life.Previously I used to ask for a job whenever I pray to him but now I dont ask for it I ask him to be with. 2 yrs back sai came in my dreams and said he will settle me. Now I dont care if I dont get settled as I got true love for him. He will solve ur problems. "no one should weep I shall always be present at all places and I shall respond to every call of the devotees""
Dear hetalji its really great work what you doing i was so bleesed by baba to found this blog. Hetalji i want join this blog and i want share my baba experiences and miracles which happened in my life . Baba bless all your devotees. Thank you Hetal ji for making this website, enabling all the devotees to share and read sai baba experiences. I am college student and currently doing a project. This is a very important project and adds towards the final marks. I store all the important files of the project in my pen drive. One day I couldn't find my pendrive, I was very distressed and searching for it. Then I sat down to clear my mind suddenly Sai baba came to my mind. So I prayed Sai Baba to help me find the pen drive. Later something told me to look inside the printer. But I was thinking it was impossible for a pendrive to get inside the printer. Anyway I checked the printer, then something struck my finger and I slowly pulled it out. It was my pendrive. I was in tears. I prayed to Sai baba and took a printout of Sai Baba's picture immediately. Since this incidence my devotion towards Sai has increased. This is a wonderful news ... your blog is already a miracle that the devotees experience and feel Baba's kind hand on their head. I am so curious to know more about these series. Please let us know, when this would be aired ? wish all other Sai Devotees lot of Sai Love and Blessings..
Hetalji you are doing such a great job of sharing Baba’s experiences with all the devotees through out the world. Thanks you so much for giving this wonderful blog to share our experiences.My experiences are in detail. I hope you will be able to edit it appropriately and upload it. Please do not disclose my name & email id. Jai Sairam.How lucky we are to get the blessings of Sai Baba. From the time I started praying to Baba I feel I am Baba’s child. He takes care of me and my family. I would like to share my beautiful experiences with you all. I live in Singapore. Here its very difficult to get a job especially if you are coming back to work after a 2yrs of break from your career. I searched for a job for almost 6mnths. Believe me daily I use to cry in front of Baba to give me a job. I mainly wanted to go to work to support my parents financially. Because they are very old and they don’t have any source of income. I got a excellent job in a MNC with the blessings of Baba that too a part time job. Which is always convenient for me to take care of my daughter once she is back from school. I can’t imagine my happiness when he gave me this job. In “Sai Satcharita” for Mrs.Tendulkar Baba will appear in her dream and will tell her that he wishes to pay her husband pension for Rs.100/-. But He will get Rs.110/- as a special case. Same thing happened to me. I asked Baba if I get $500/- as a salary I will be very grateful to him. But imagine the care he has for his devotees I am getting $1000/-. Daily I am thanking Baba for this. My work timing is 9am-1pm.Which means I can reach home only at 1:30pm. My kid will return from her school at 12noon. I need somebody to take care of her till the time I come back. I was so worried. My hubby didn’t want me to go to work leaving my kid somewhere. I can’t afford to leave this job which Baba gave me as biksha. Here also Baba only saved me by showing one lady who stays jus few blocks away from my house. Again she is also a Sai devotee. I strongly believe that Baba is only taking care of my daughter in that lady’s house. My mom was not well last December.Doctor said that she has to undergo angiogram since he suspects something wrong in her heart as per the ECG report. I was really worried. I was not able to see her. I prayed to Baba. They have fixed a date for the angio test which was on Thursday 26th January. I was going to my office. When I was waiting for the train. Suddenly one thought came to my mind I prayed to Baba “Baba I don’t know why I am tensed about my mother. If I see your photo I’ll be in peace” Which is not practically possible from the place where I boarded in. I was scolding myself why I have to get these sort of thoughts. Guess what while I was scolding myself when i looked back. I saw one Indian lady reading Sai vrat book. I was shocked. There was no words to express my feelings. I started crying there itself. Couldn’t stop my tears. She was in the last page of that book. Since I also read Baba’s vrat book every Thursday I couldn’t control my tears. I waited for that lady to complete the book. Then I told her what I felt and how Baba blessed me. In the noon I called my sister to find out about my mom’s test. She told me that Angio went on well. My mom is doing well now. The result also came normal.Once you surrender to Baba why should we have fear. Thanks to Baba. Last but not the least. I prayed to Baba for my daughter’s school admission. I almost gave up. Because this prayer went on for more than 6months. Today with Baba’s blessings I got admission in a good school for my daughter without any difficulty. Lets have shradha and saburi with Baba and he will take us across all the hurdles in our life. Jai Sairam. Please let us know when 'Sai Prerna' would be aired on television. All of us are eagerly waiting to see the series. Have you followed as per Baba's suggestion ? Baba always gives us hints. Please do whatever Baba is saying. The dream does signify something really important. Hope someother devotee can help you with it.. When I tried for free udi, I got this error and I don't understand it, "You have an error in your SQL syntax; check the manual that corresponds to your MySQL server version for the right syntax to use at line 1" can anybody help me to get it? please reply me. baba is always with us, this was proven when my father got seriously ill two years ago and came on ventilator. Shirdi Sai with his blessings , took out my father from the mouth of the death. I cannot forget this through out my life ,when Baba vrat's udyapan was to be done, a big problem aroused . During this Baba came in the roop of my brother and took me out of that mess . Main tan , man se baba ki rini ho gayi. Baba aap sada hamare saath rehna. Sada apni krupa aise hi banaye rakhna. Mere parivar ki raksha karna. It is true when you remember , Baba always come to help you. Jai Sai Ram. I'm reading devotees experiance in this blog almost 1 year and i didn't post any experiance but i put comments. Every experience is amazing, i'm very happy to read experiences. Seeing this information that our baba serial will be launch in Television, I'm very eager to see the serial 'Sai Prerna'. I am looking for the job and i got the job only because of baba's blessings . See the miracle i didnt attend the interview instead of me my friend had attend the interview in telephone. remedies that can be used that have been efficacious in providing positive results in controlling blood pressure. inaccurate and meaningless. High Blood Pressure is a major health problem in the world. My life has seen many ups and downs. Although Baba has blessed me with a good family, my personal life has been far from peaceful. Baba I ask for peace of mind and respect. I don't want anything else. Last two years, Baba has given me tremendous strength, yet he has taken my exam so many times. I just pray to him to forgive me for my past deeds and accept my apologies and end my sorrows. Baba !! please help me. This is a prayer request to saibaba . i have had two interviews last week i really worked hard and did prepration a lot. please baba bless me with a job .i am at the stage of giving up please give me strength baba . OM SAI RAM !! Shradha Saburi !!! Sai baba all ur wishes. One of the way is 5 days pooja , it is done 5 consecutive days at same time when ur starting .